Back in the day, we invented filters that would look for the ad sizes prescribed by the ad industry, and would replace those with local photos or images. It was a slick bit of programming at server level, but we were flamed into tomorrow by the "Net Neutrality" mob. Today, they're begging for regulation! I found this piece very interesting. Whitelisting? Seriously? By some accounts, there are more than 200 variants of ad-blocking solutions, many of which utilize whitelisting that allows certain ads through when they adhere to specific rules. While an ad blocker that doesn’t block all ads may sound like an oxymoron, we can argue that whitelisting may be critical for the long-term sustainability of ad-supported services. Apple's iOS 9 contains technology that will enable third party ad blockers within the Safari browser. These ad blockers will be available from the Apple App Store. 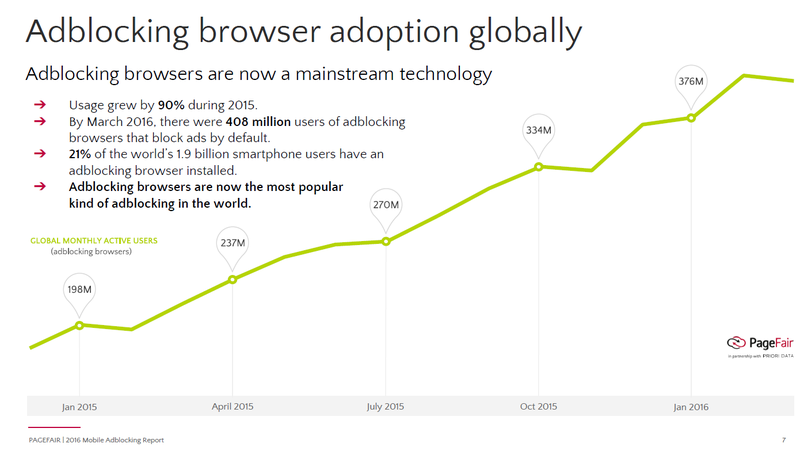 Ad blocking has the potential to remake the Internet user experience. This could also deny Google a lucrative revenue stream that comes from the wealthy iOS ecosystem. "Killing the Advertising Parasite" for iOS 9, Apple introduced a couple of new technologies related to its Safari web browser. The first is the ability of developers to write extensions for Safari that would be approved by Apple and distributed through the App Store. The ability to write extensions (or plugins) for web browsers has been around for years, but hasn't been allowed in iOS until now. The second is the ability to write a content blocking extension for Safari. First came more news about Google’s plans to filter out invasive ads and charge people who insist on using third-party ad blockers when visiting a publisher’s site, with Google sharing the proceeds with the publisher. Then, Apple announced that an update to its Safari browser would block autoplay video as well as put an end to tracking people’s online browsing. Where is it all going to stop -- probably when the ad industry stops using such rude, tasteless, intrusive advertising. I call it spam, just one step above cybercrime. It's actually theft -- remember you used to pay for magazines, which purchased the paper version to read. Yet the magazine still had to foot the huge cost of getting it printed. Online publishers have no task. You, the reader foots the bill for delivery!